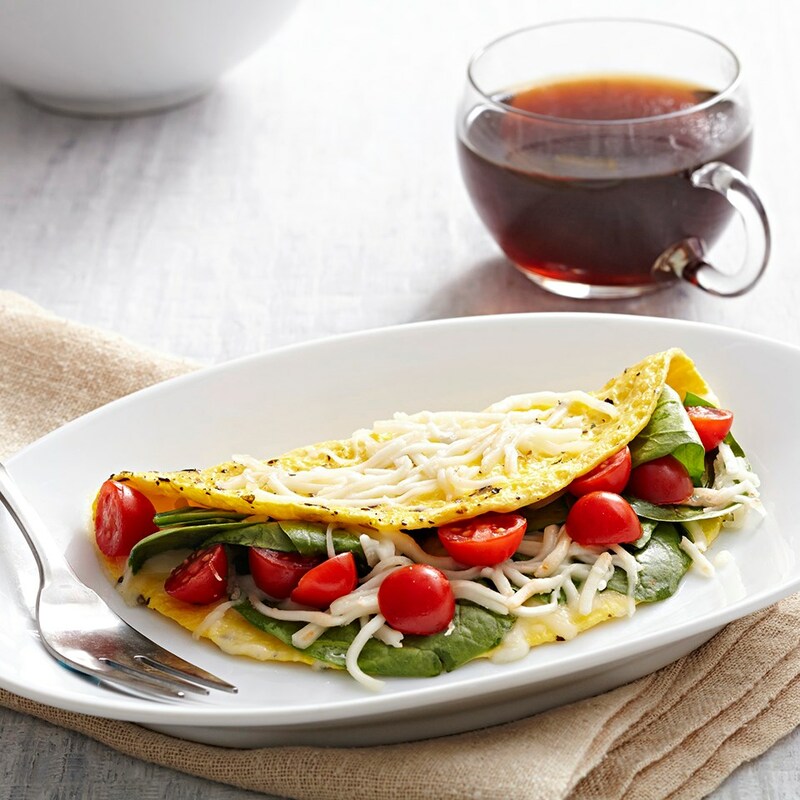 Get ideas for what to put in an omelet and healthy ingredients to add to jazz up your egg breakfast. In the breakfast hierarchy, the omelet ranks up there with the waffle, eggs Benny and the breakfast taco. Ready in minutes, it's the perfect protein-packed vehicle for all kinds of ingredients, whether you're hungry for an over-the-top brunch or a lean weekday power breakfast. Cooking an omelet couldn't be easier. Just whisk together some eggs, cook them in a nonstick pan with a little oil or butter, add the filling of your choice, fold and serve. That said, there is some finesse involved in a making a successful omelet. Get step-by-step instructions here. To help inspire your next omelet-making endeavor, we've put together some quick tips and five filling categories, to help construct countless winning combinations. 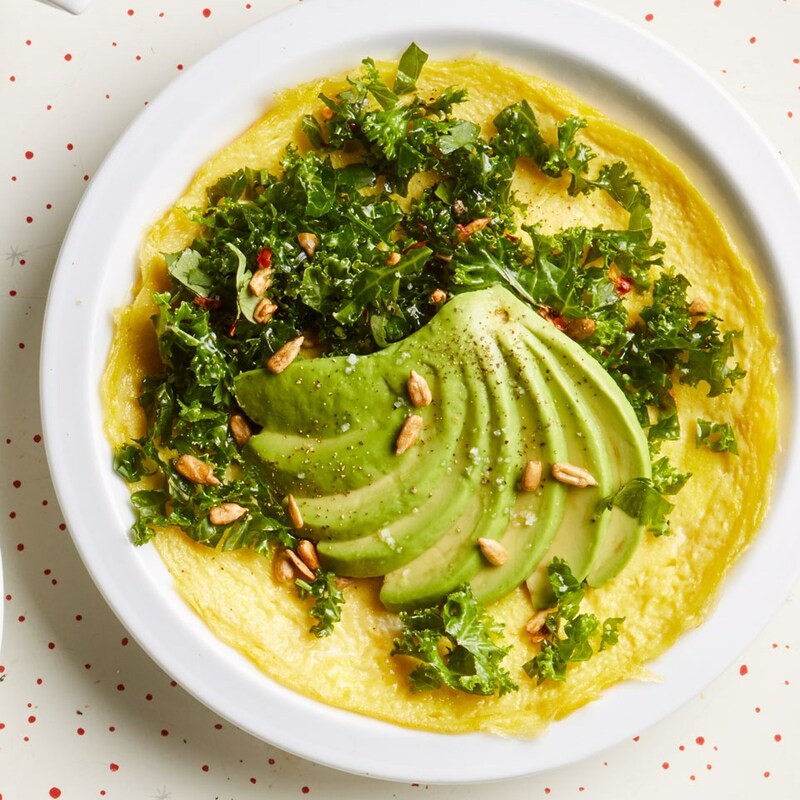 The anatomy of a truly great omelet is broken down below, so even the most kitchen-averse can get out of a breakfast rut and serve up an omelet with flair. Besides eggs, cheese is the most integral ingredient in an omelet. No matter how straightforward or eclectic you want to get with your fillings, this creamy buffer helps hold it together. There's nothing wrong with choosing classic grated Cheddar to complement some crispy bacon or well-seared breakfast sausage, but a softer cheese, like chèvre or an herby Boursin, amplifies the gooey factor and leaves you with creamy bite after creamy bite. Softer cheeses, stirred together with your proteins and cooked veggies, also help with ingredient integration, assuring that every bite has a little bit of everything. You can stuff an omelet with just about any cooked meat: bacon, crab, sausage, sliced ham from your fridge's deli drawer, even lobster. Chef John Currence of Big Bad Breakfast in Oxford, Mississippi, admits that he sometimes throws in leftover fried chicken or shrimp and grits. The easygoing versatility of the omelet is part of its appeal. But here are a couple of things to keep in mind when adding your preferred meat(s): First, most of them already have lots of salt, so go easy when seasoning your eggs. Second, smaller cuts are better. Nobody wants to bite into a massive piece of fish, or accidentally pull out an entire strip of bacon in one bite. Whatever your protein of choice, take the time to cut it into manageable pieces. A lot of the same rules outlined in the meat section also apply here: namely, smaller equals better. So, slice those shiitakes, dice your tomatoes and smash your potatoes. Also, reserve the raw veggies for crudité and salads. Everything—from leeks and bell pepper to spring vegetables—needs to be cooked, preferably with good-quality butter or olive oil and a little bit of kosher salt. The one exception is avocados, which can be added in any form, whether thinly sliced, dolloped in guacamole or grilled and cubed. Do you know what separates most home-prepped omelets from the fancy ones at your local bistro? Fresh herbs. Seriously, it's that simple. 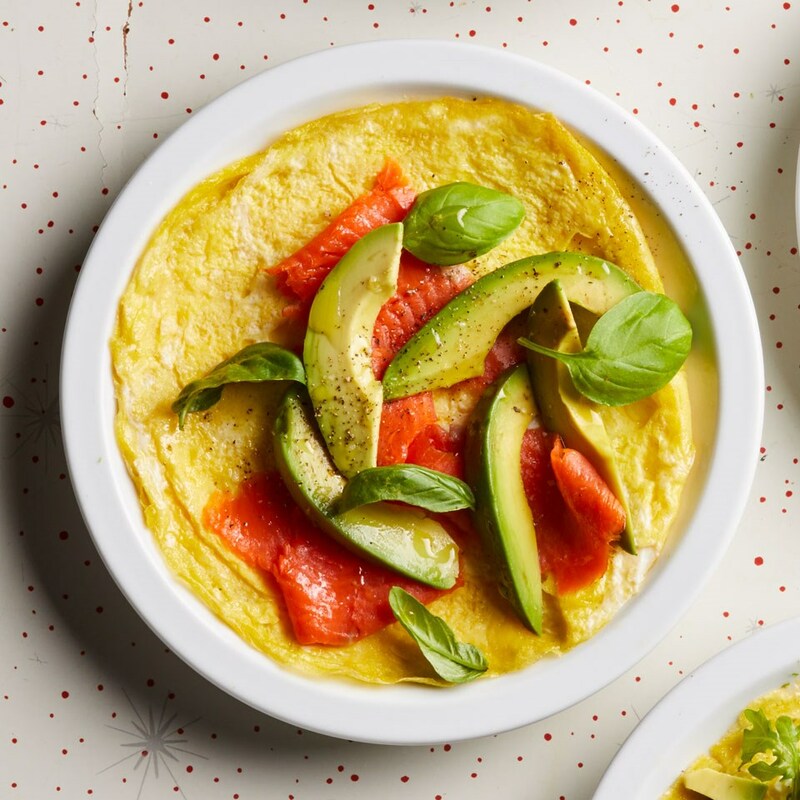 Omelets inherently veer toward the heavier side, so balancing them out with a pop of bright freshness is crucial. We expend so much energy thinking about what goes inside an omelet that we often fail to think about the outside. But if you really want to push your omelet creation to the next level, consider the extras. Think stewed tomatoes or okra ladled over a Cajun omelet brimming with blue crab. Or a schmear of sour cream and caviar to enhance a smoked salmon omelet with dill. Leftover veggie chili going to waste? 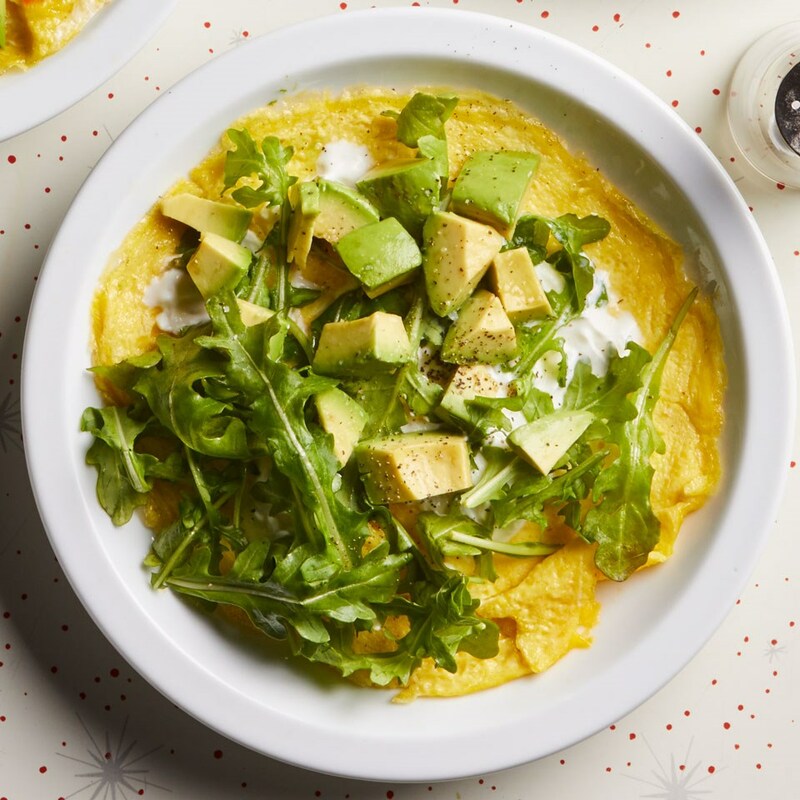 Go full hangover-buster by serving it alongside an omelet stuffed with Cheddar, scallions and hash browns. The idea is to go fridge- (and pantry-) diving to upgrade even the most well-thought-out dish. 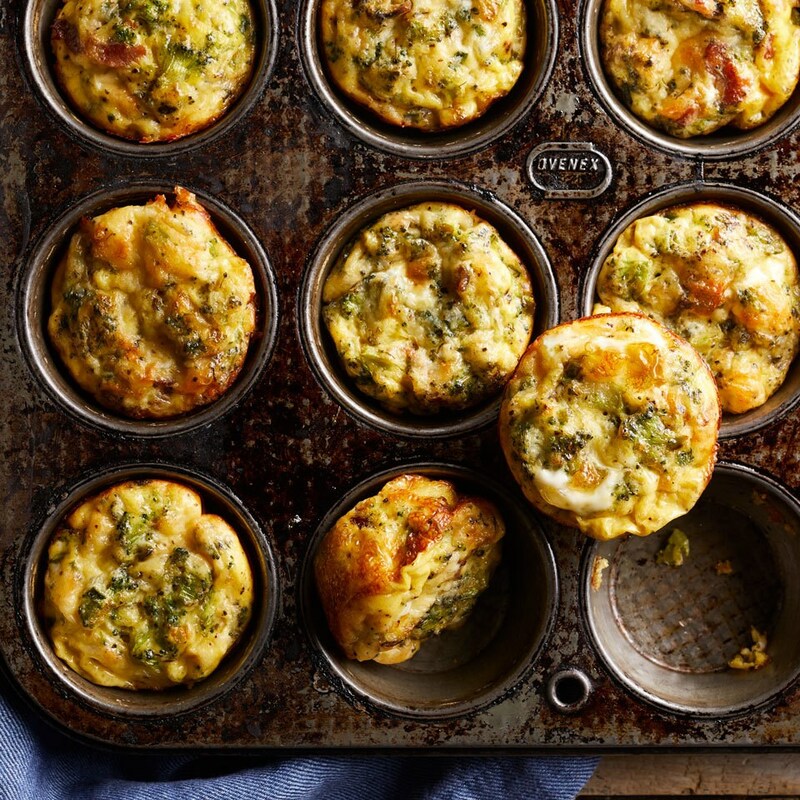 The options for omelet fillings are endless, but these mini recipes will kick you off toward your own creative combinations. 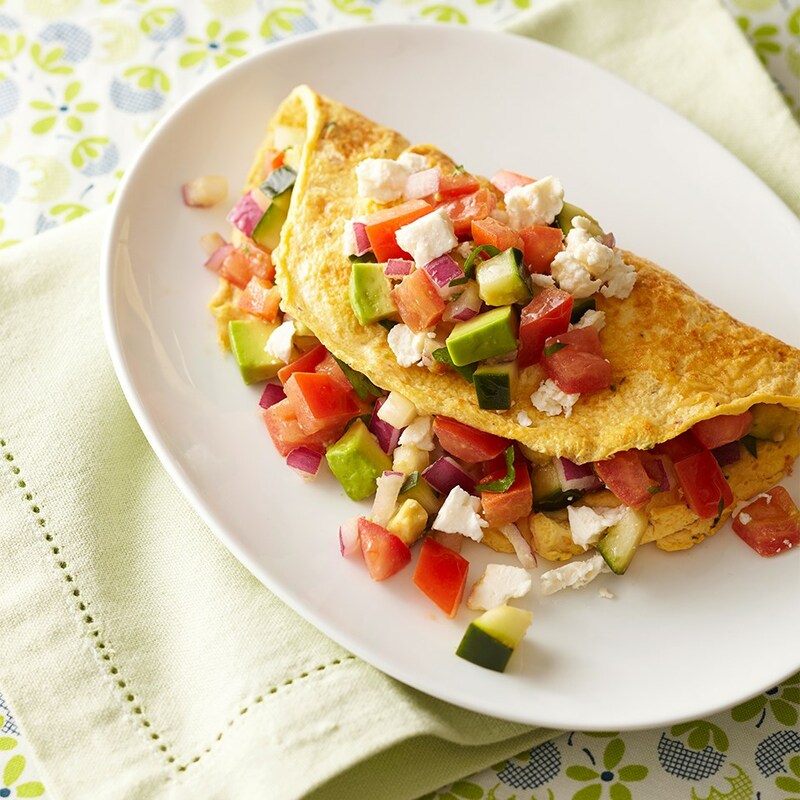 • Make an Italian-style omelet by adding crispy pancetta, red bell pepper and ricotta. Toss in a few leaves of fresh basil. • Take it Tex-Mex with chorizo, Cheddar and home fries. Sprinkle some chopped cilantro over the top. • For the classic French omelet, add a judicious swipe of Boursin. Complement it with sliced chives, an egg's best friend. • If you can't get enough Korean flavors, consider a kimchi-stuffed omelet with a dollop of cream cheese or sour cream to cool off the potent punch of fermented cabbage. • Go California-style with avocado, goat cheese and lightly dressed microgreens.